One of the best things about visiting Tokyo is getting to catch up with old friends. 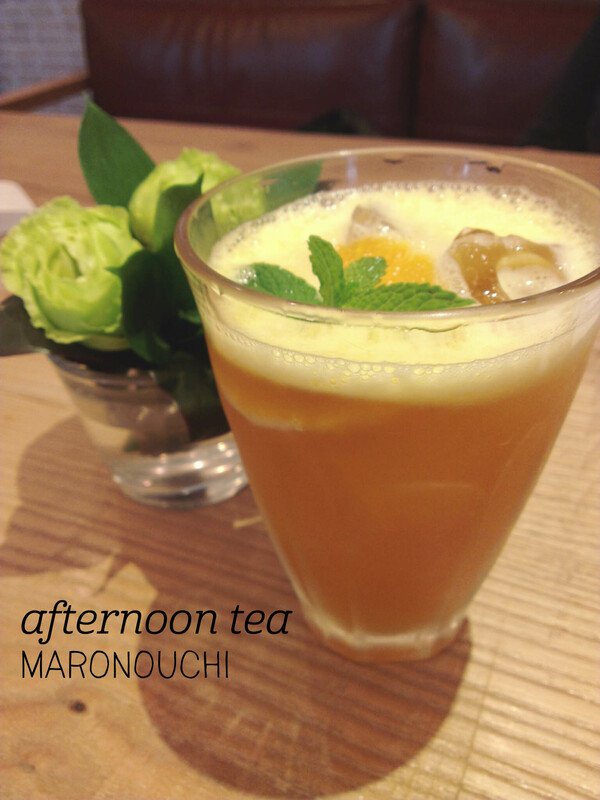 On this visit, my friend suggested meeting at Afternoon Tea in Marunouchi, near Tokyo station. We arrived to find an elegant cafe with a great view out over the city – the tables had fresh green flowers on them and the seats were welcoming and comfortable. There’s also a lovely homewares store out the front of the cafe, which we spent some time browsing afterwards. There was plenty to choose from on the menu, but having already had lunch, we decided to stick with the drinks (although the scones sounded tempting!). After much deliberation, I chose the orange iced tea, which was an earl grey mixed with orange. It came out and immediately looked refreshing with a vibrant orange colour, a segment of orange and a sprig of mint on top. Given how warm the day was this was exactly what the doctor ordered. 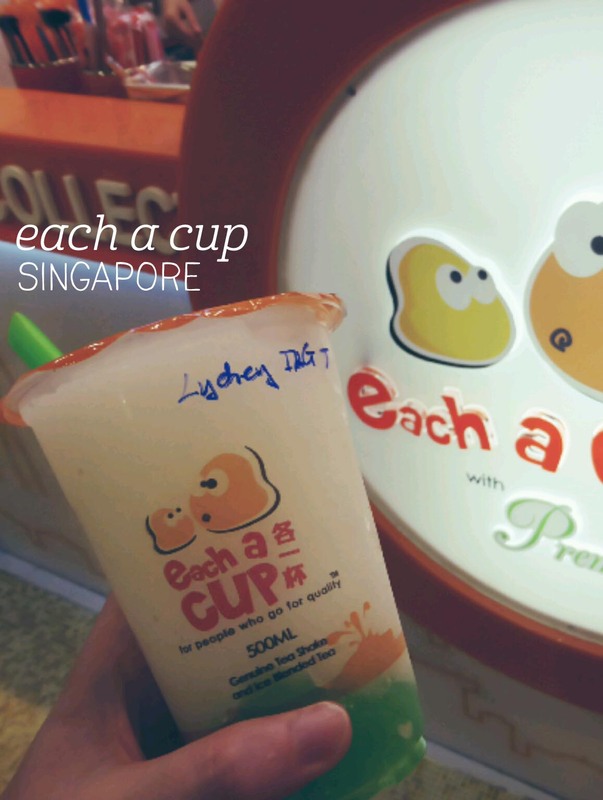 The flavour was stronger on the orange than the earl grey and was quite sweet. I couldn’t imagine a better setting in this city for afternoon tea or meeting lovely friends. Walking back from a meeting, my colleague suggested popping in to Hideout for a coffee. It was a glorious warm afternoon and not being in any hurry to get back to the office, I agreed. 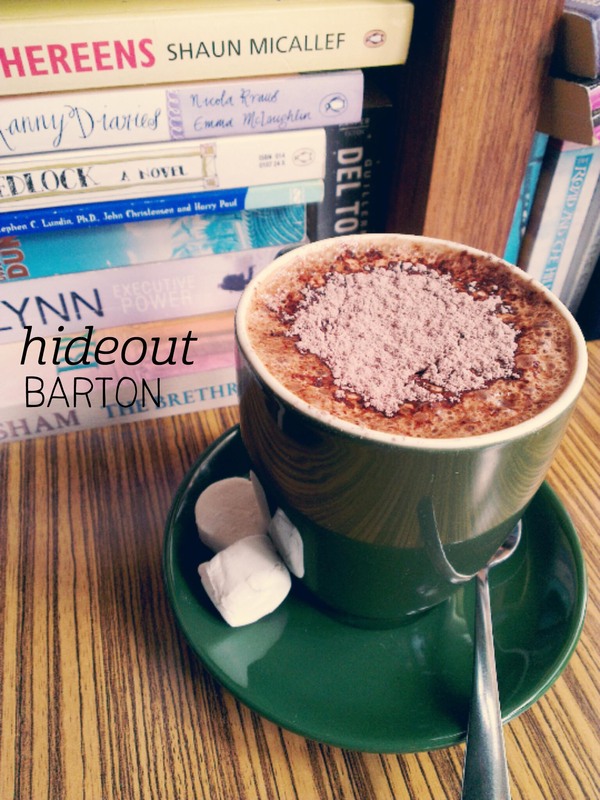 Hideout wasn’t high on my ‘to visit’ list – they don’t have a large food offering, so it really is all about the coffee, which I don’t drink – but on this day I was more than happy to go along. 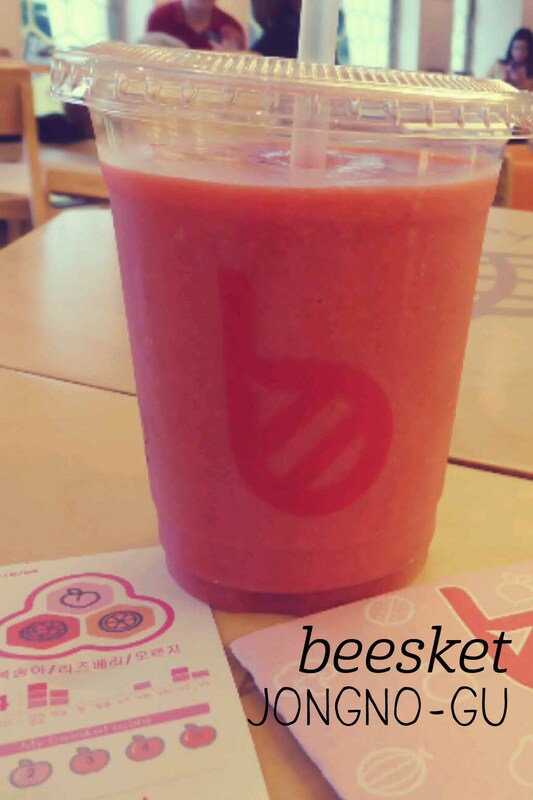 The staff were very friendly and the service was impressive – we ordered at the counter (flat white for my colleague, soy hot chocolate for me), and our drinks came to the table in the blink of an eye. We took a seat next to the impressive bookshelf wall full of second-hand volumes, and when it arrived my hot chocolate was impressively tasty, with a lovely rich froth on the top. There are very few places in Canberra that can make soy taste good (experiences have ranged from ‘can’t taste any chocolate’ to ‘tastes like cardboard’), but for Canberra Hideout does well. It also came with two marshmellows, which was a nice bonus. The verdict? Cozy, tasty and inviting. Hideout is aptly named. Anyone who knows me well knows that I love tea. Quite a lot. So when I heard that one of my favourite tea brands, T2, had opened an experimental ‘brew bar’ making blends of their huge range of teas I had to stop in. 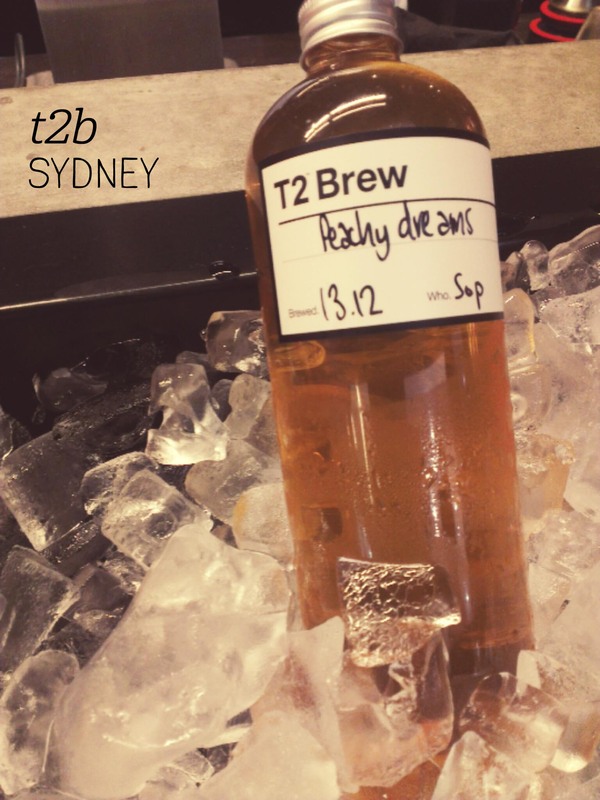 T2B offers a range of products, but on arriving at the store in the Queen Victoria Building, my eye was immediately drawn to the bottled iced teas sitting in a tray of ice built into the front counter. The lady who served me was very helpful when I asked about what was in the ‘Peachy Dream’ brew – Turkish Apple for sweetness, Peach Sencha for the peach flavour and Red, Green and Dreamy rooibos (South African tea) for more peachy sweetness. I’d never tried rooibos before, so the lady kindly let me smell the rooibos first (such great service!). The iced tea comes in a generously sized bottle and on first sip was a great choice. 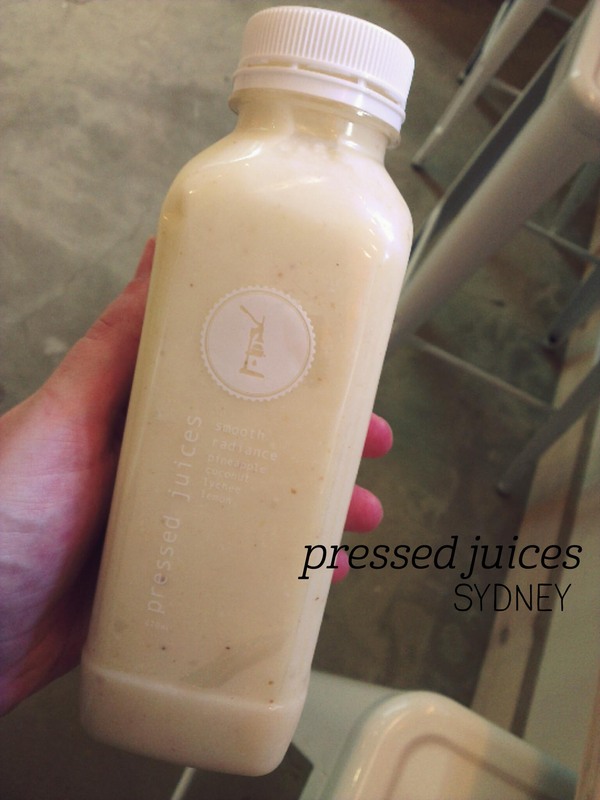 Apart from being beautifully refreshing, the balance of flavours was delightful – the peach flavour was stong but not artificial and it was sweet without being sickly. Highly recommended for service, flavour and value.